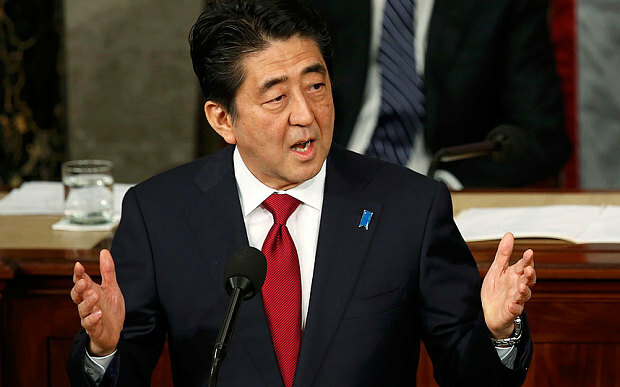 (March, 28th ) Prime minister Shinzo Abe denounces attacks in Belgium, hikes security as ministry warns Japanese travelers. Japan, which will host the G7 Summit on May 26-26, will further tighten security in response to the terrorist attacks on Belgium’s airport and subway system, said Prime Minister Shinzo Abe. The prime minister voiced Japan’s “strong solidarity with Belgium and the European Union, which face difficulties right now,” and vowed that the government would do its best to protect citizens overseas. Meanwhile, the Japanese Foreign Ministry warned Japanese nationals traveling to or staying in Belgium to refrain from unnecessary outings. The Boston Global Forum last December presented Mr. Abe with its “World Leader in Cybersecurity’’ award.